Thomas & Betts Steel City® 1-Inch Raised box cover is suitable for use with 4-11/16-Inch square steel outlet box. 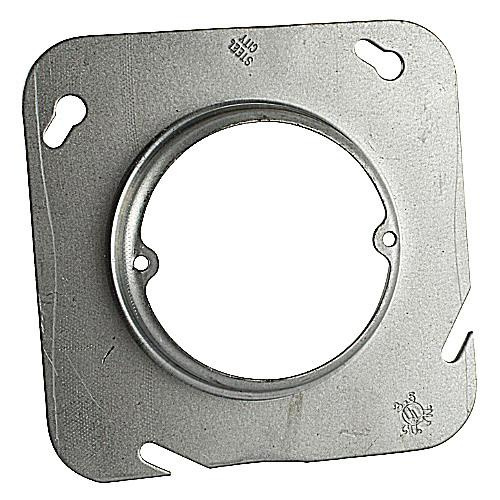 Cover features high-quality steel construction with pre-galvanized finish for superior corrosion resistance. Square cover measures 4-11/16-Inch x 4-11/16-Inch x 1-Inch. Cover has maximum capacity of 5.8-Cubic-Inch. Box cover is UL listed.